Three years after the introduction of the ground-breaking GTXO-203, we are pleased to announce the introduction of the GTXO-163, an even smaller package TCXO. 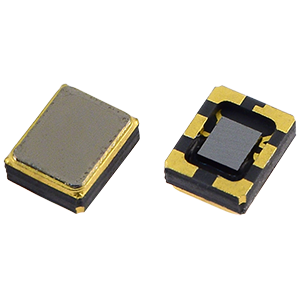 The GTXO-163 measures just 1.6 x 1.2mm with 0.7mm maximum profile height and is therefore 40% smaller by volume, with a 40% smaller footprint than the GTXO-203. With frequencies ranging from 20 ~ 50MHz, the GTXO-163 is coming soon and will be available Q1 2019. Speak to our sales team today to find out how the GTXO-163 could benefit your next project by calling +44 1460 256 100 or emailing sales@golledge.com now.